100% Genuine Innokin Product. Supplied brand new in sealed retail packaging. These original coils fit and work with both the Innokin T18 and T22 vape pens. Each coil is rated at 1.5ohms. No spill coil swap system. Long life product. Genuine Innokin assurance. Manufactured using the highest quality Japanese organic cotton. The Innokin Endura T18 Coils 1.5 Ohm (5 Pack) is a pack of five replacement coils for the Prism tank used in the Endura T18 AND T22 Vaping Kit. Just like the ones that come with the iSub Tanks, these replacement coils have the resistance of 1.5 Ohm and include Japanese organic cotton. Thanks to the “No-Spill Coil Swap System”, they can be replaced in a matter of seconds and without a hassle. To change the burnt out coils, open the base, remove the old coil and replace it with the new one. Close the base and the tank is ready for vaping again. Depending on whether you're light, moderate or heavy vaper, one coil will last from 1 to 3 weeks. This means that a 5-pack of replacement coils is sufficient for approximately 1 to 2 months of vaping. You will know when it's time to unpack a new coil when your tank will stop producing vapour and/or E-Liquid will start to taste differently - less delicious. Our product reviews are gathered using an external feedback company. A few days after you place an order, you will be invited to leave a review on the items you have received. This ensures that all feedback is fair, and 100% reliable. We have 56 reviews for this product. Easy to order. Seems to be working well. Easy to order. Fast delivery. I would recommend. My favourite coils for my favourite tank. Best price by far. Easy to use website and prompt delivery. Excellent service. Goods were spot on. Service Was Prompt. Service was very quick, got exactly what I ordered and very pleased with this company. Would use again. Genuine product, will be ordering again. Good value products, arrived quickly, would definitely use again. Good product. Genuine Innokin. Great online shop. Excellent prices. Delivery is good, although I'd prefer it to be a little quicker. Can't really complain though, given the great prices. Recommended, and I'm a returning customer. Good quality product better than the cheaper version Amazon is offering. Quick delivery, good quality product. Bought the same thing off Amazon last time and although it was cheaper was much worse and lasted a he'll of a lot less time than 7days. Would highly recommend! Good good will be ordering again Very good purchase will order again maybe will arrive a little sooner next day delivery would be good. Good value genuine multipack Good value and speedy delivery as usual. Items arrived well packaged. Excellent coils and fast delivery. Very happy. Excellent coils and fast delivery. Very happy. Our customer rated the product 4 stars Schnell und unkompliziert, ich bestelle gerne wieder. They are very reasonably priced and they work fine. Always good prices and fast delivery! If they have the stuff I am after, that's it!, done! Not much to say. The fit, are cheap and one lasts at least a month (when vaping 4-5ml/day) Great price, superb packing and fast delivery. Also the contact with the service was helpful and a pleasure at the same time. Our customer rated the product 5 stars Very fast delivery, excellent service. Our customer rated the product 4 stars Fast delivery, excellent price. Very good product and good processing. Wonderful Service and fast delivery. Very tasty juicing to be had from these easy to use coils with organic cotton yum. Very happy with the service i received, delivery was prompt. And the qaulity E-cigs i bought were half the price of most other retailers. I will be back for more from this excellent shop. Our customer rated the product 4 stars ..
Our customer rated the product 5 stars Receiced my order after 2 weeks in Belgium. 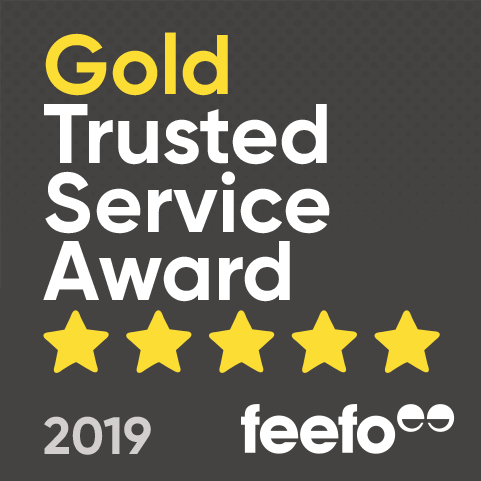 Excellent items,super price,Will be buying more The service is second to none,I am overly impressed with the speed of service and the quality of the items i ordered,also the communication was superb,cannot thankyou enough. Our customer rated the product 5 stars Great products and quick delivery. Our customer rated the product 5 stars Die Bestellung verlief einwandfrei. Auf emails wird schnell geantwortet und nach 7 Tagen war die Bestellung bei mir. Original und super günstig. Bin happy!!! Alles Tippi Toppi, sehr empfehlenswert!!! Great Ecig not only for beginners. I am vaping since 3 years and I am happy with the flavour and everything else. I ordered two innokin Endura T18 Ecig-Kits plus replacement coils. The price was unbeatable and shipping very fast. I am very happy with everything and ordered two more. Thank you very much to the shop. Our customer rated the product 5 stars Great service and prices. Highly recommend them would not hesitate to use them.